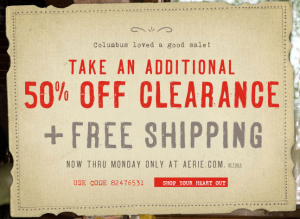 Extra 50% Off Clearance Plus Free Shipping at Aerie! 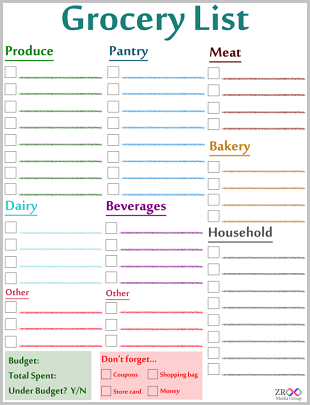 October 9, 2011 · by Zack & Katie · Post may contain affiliate links. See my disclosure policy here. American Eagle's sister store, Aerie, is having the same great sale as AE! Get an extra 50% off clearance PLUS free shipping, with coupon code 82476531. Expires 10/10.